Congratulations on getting engaged! If you’re not already, you’ll soon be consumed by floral arrangements, cake tastings and venue tours galore. Before you jump head first into wedding planning, you may decide to sit for an engagement photo session. This shoot is popular among newly engaged couples, and offers you the opportunity to capture your unique love during an exciting time in your relationship. To help make the most of the experience, many couples are incorporating instax into their engagement sessions. 1. Ask your photographer to supplement with instax. When you meet with your chosen photographer, they’ll undoubtedly ask if you have any special requests. Ask your photographer if he or she would snap a few shots with your instax throughout your session. From those candid moments in-between shots to behind-the-scenes antics, instant photos will help your photographer capture even more of you and your partner’s personalities. Plus, it will make a great keepsake for your albums. 2. Take selfies during downtime with your instax. As with any photo shoot, there will be some downtime. While the photographer is rearranging lighting, moving equipment or between locations, grab your instax and snap a quick pic! Try out different poses for your own camera and just maybe you will come up with some new ideas for those professional stills. 3. Forego a formal photoshoot and ask a friend to snap photos. For some couples, a professional engagement shoot is a must. But, for others, it’s a cost they’d rather forego in order to save more of their budget for other wedding expenses. 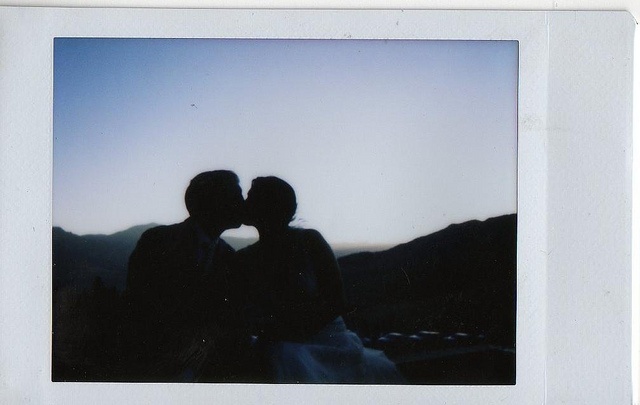 If you want a few keepsake engagement photos, but don’t want to shell out the money for a professional, instax can be a lifesaver. Simply choose your favourite location, pick up a package of film, and ask your most camera-savvy pal to take a few pictures with your instax. A good friend will be able to draw out genuine smiles by reminding you and your future spouse of your favourite memories and inside jokes. With your instax camera and a little creativity, you can turn an impromptu engagement shoot into a memorable event. This low-cost option is not only more intimate and comfortable, it will save money you can put toward professional photography for your wedding day. We hope these tips will help you when preparing to spark creativity is using instax for engagement photos. for you and your other half. Have fun, get creative and use instax to capture the magic. Not only will you love the results, you’ll have a handful of keepsakes in seconds.